Lesbian, Gay, Bisexual and Transgender Pride Month (LGBT Pride Month) is celebrated each year in June to honor the 1969 Stonewall riots in Manhattan. The Stonewall riots were a tipping point for the Gay Liberation Movement in the U.S. Initially the last Sunday in June was celebrated as “Gay Pride Day,” but the actual day was flexible. In major cities across the nation the “day” soon grew to encompass a month-long series of events. Today, celebrations include pride parades, picnics, parties, workshops, symposia and concerts. Learn more about the origins of Pride from the Library of Congress. Pinback button commemorating Christopher Street Liberation Day, Anonymous Gift​. Marsha “Pay it no Mind” Johnson was a self-identified drag queen, and a prominent gay liberation activist. Born in Elizabeth, New Jersey, she became infamous in New York City’s gay and art scene from the 1960’s to 1990’s. She was a veteran of the Stonewall Riots, a turning point in gay and lesbian activism, and was one of whom many say helped start the riot the morning of June 28, 1969. Johnson became an active member in many of the groups that proliferated after Stonewall, such as the Gay Liberation Front (GLF) that fought for the protection and sexual liberation of all people. Knowing the hardships of living on the streets, she co-founded Street Transvestite Action Revolutionaries (STAR) with GLF member, Sylvia Rivera. STAR provided homeless and transgendered individuals with shelter and community. Program for An Evening of Comedy with Jackie 'Moms' Mabley and Her Ladies, Gift of William and James Thomas and family in memory of Clarice Taylor​. Loretta Mary Aiken became known to her audience as Moms Mabley. She began performing in her teens when she became a part of the black vaudeville circuit, also known as the “Chitlin’ Circuit”. She was lined up with other acts from Dewey “Pigmeat” Markham to Bill “Bojangles” Robinson. She found her niche when she ventured to New York City. As one of the dancers in the dance group Butterbeans and Suzie, she debuted at Connie’s Inn and quickly became a favorite of Harlem’s Cotton Club sharing the stage with Harlem Renaissance men Duke Ellington, Cab Calloway, and Louis Armstrong. There she created Moms, her granny-like character with a desire for younger men; a stark contrast to her off-stage self. Moms became a regular performer at the Apollo Theater and made a couple of cameos in the films Jazz Heaven (1929) and Emperor Jones (1933). James Baldwin on a water taxi, crossing the Golden Horn, Istanbul 1965, Sedat Pakay © 1965. Born in Harlem, New York, August 2, 1924, James Baldwin was an essayist, novelist, playwright, poet, and social justice advocate. Baldwin is regarded as one of the foremost intellectual thinkers of the 20th century for voicing his concerns around identity, creativity and freedom. As an openly gay man during a time when homosexuality was taboo, Baldwin explored the intersections of his identities through a number of published works. Baldwin’s work considered what it meant to be human and explored our common struggles, victories, and defeats during one of the most turbulent times for blacks in America. Some of his writings include: Notes of a Native Son and Go Tell It on the Mountain. Search our James Baldwin collection of artifacts, photos, and essays related to his life. 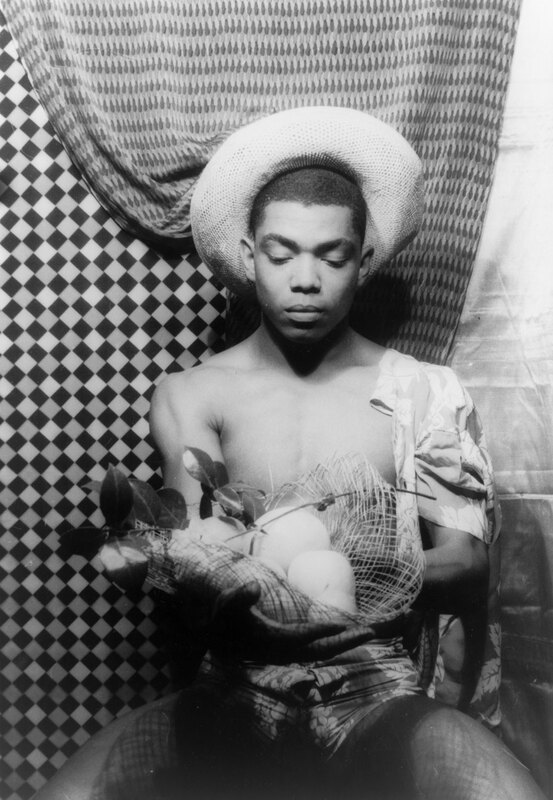 Portrait of Alvin Ailey, Carl Van Vechten, 1955. The dancer and choreographer, Alvin Ailey began his dancing career in 1949 when a high school classmate introduced him to the Lester Horton’s Holiday Studio. Ailey immersed himself in dance, cultivating his own weighty and smoldering style for his athletic build. He made his way to New York City in 1954 to perform in Broadway’s production of House of Flowers with partner Carmen DeLavallade. It was with success and further study, that Ailey was able to open his studio, the Alvin Ailey American Dance Theater, only within four years of living in New York. The company’s first productions Blue Suite (1958) and Revelations (1960) were highly successful. The shows gave Ailey’s company the title of leading dance interpreter of the African American experience. Ailey’s choreographic career extended over 50 years and through which time he worked with the American Ballet Theater, the Paris Opera Ballet, and the London Festival Ballet. Ailey went on to receive a United Nations Peace Medal, the National Association for the Advancement of Colored People’s (NAACP) Spingarn Medal, and was recently celebrated by President Barack Obama for a lifetime of achievement in the arts. Search our Jack Mitchell Photography of the Alvin Ailey American Dance Theater Collection. Audre Lorde by Elsa Dorfman, Wikimedia Commons. Audre Lorde described herself as a "black, lesbian, mother, warrior, poet.” She understood that personal identity encompassed more than one’s gender or race. That it was gender and race. Even more than that, it was gender and race, and sexual orientation, class, age, ability and many other dimensions of identity which intersected to shape a person’s experience. Today, this idea is known as intersectionality, a term coined by Kimberlé Crenshaw. An accomplished poet, Lorde’s first volume of poetry was published in 1968 by the Poet’s Press. She went on to publish numerous other critically acclaimed works that grappled with the complexities of identity and oppression. "I am a Black Feminist.” Lorde wrote in I Am Your Sister: Black Women Organizing Across Multiple Sexualities. “I mean I recognize that my power as well as my primary oppressions, come as a result of my blackness as well as my womaness, and therefore my struggles on both of these fronts are inseparable." Lorde’s writings grappled with a wide range of topics including gender, race and sexuality, and helped create a foundation for theorists and activists regarding social justice. Explore Sister Outsider: Essays and Speeches by Audre Lorde in our collection. 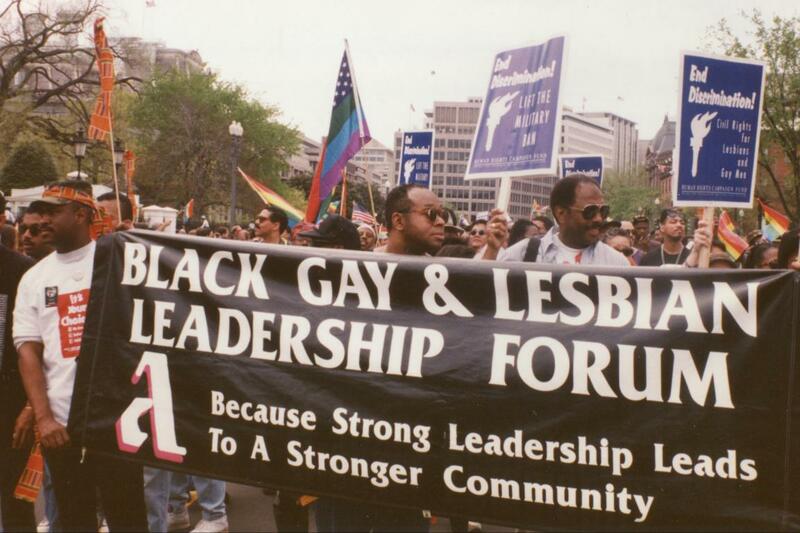 We are currently collecting objects related to Marsha P. Johnson and Stonewall; GMAD and other political organizations from across the country that fought for national recognition of African American LGBT rights, particularly related to healthcare, HIV/AIDS, and quality of life assistance during the 1980s and early 1990s; photos and artifacts of LGBT life during the Harlem Renaissance, Drag Balls from the mid-20thcentury to 1990s; along with items from social organizations, including the informal organizations formed in cities like Chicago, LA, New York, Atlanta, and DC where people came together as part of a social network of support. Have something that we should see? Email NMAAHCCollections@si.edu.